With its baroque, cabriole legs this decorative studded velvet covered console table is gorgeous and different. 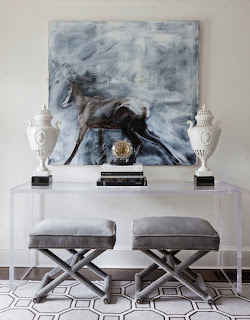 It has a limestone top and is quite the statement piece for any foyer or room. Please see www.alidad.com for more information and colors. 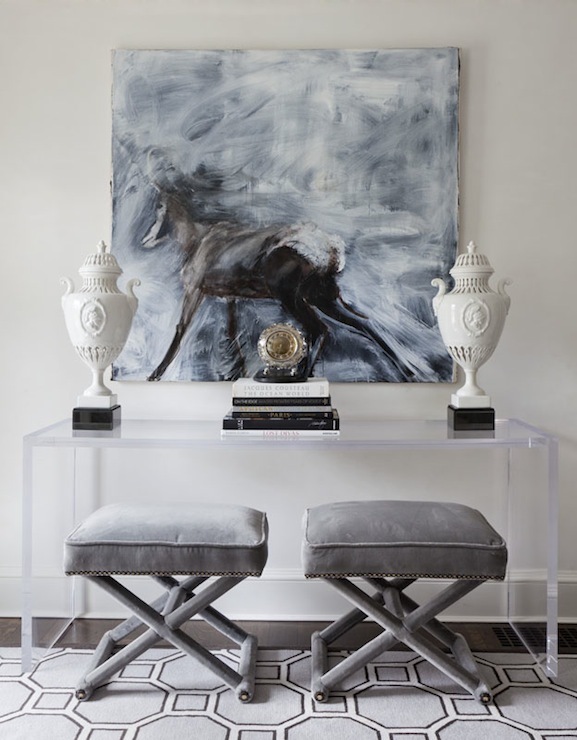 The gray velvet ottomans are perfect for extra seating or tables and fit into any space. 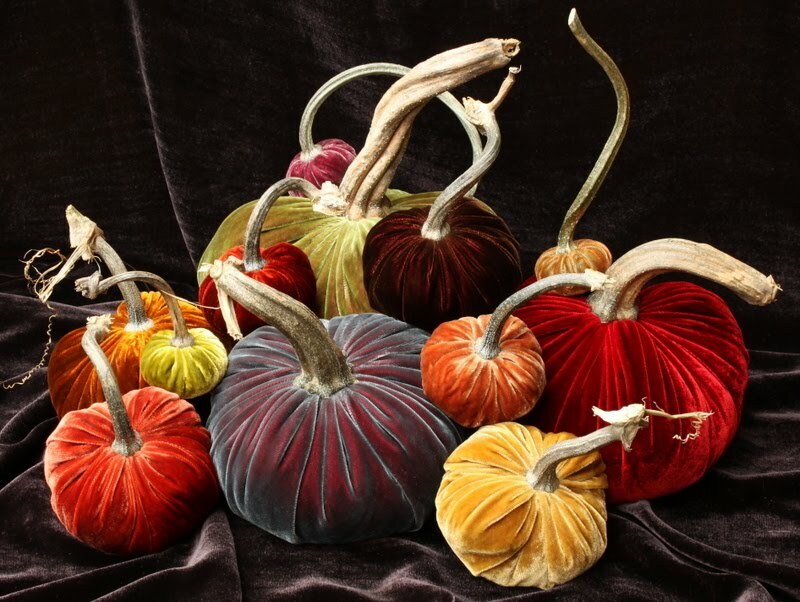 Velvet is one fabric you can never tired of as we have seen it for years in clothing fashion, draperies, furniture and as you saw several blogs back pumpkins! The designs are based on neo-classical shapes, combining leather and bronze with dramatically studded velvet. Fabrics are available to order in any colour. The furniture is as at home in contemporary homes as period ones. 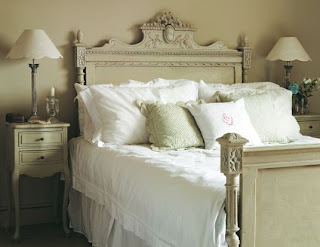 For example, cream fabric suits the former perfectly, while rich red looks fabulous in the latter. The furniture can be made in any colour the client wishes. 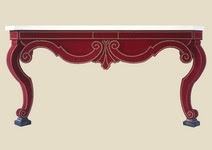 The console table, Augustus, was the first design launched. World of Interiors chose it as its Product of the Year in 2004. So enthusiastic was the response that Alidad has added to the collection with several other pieces since then. ed to the collection with several other pieces since then. Caring for Silver – Get Ready for the Holidays! Many people seem to steer away from using silver because they think it is too time consuming to polish. 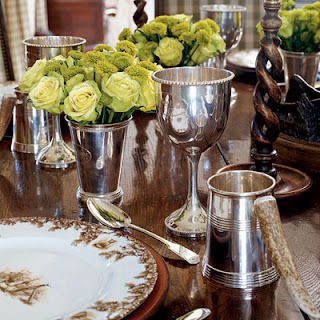 But there is nothing like a table with silver pieces on to help make your table glow and look beautiful. Frequent use of silver actually means it has to polished less. Don’t save your sterling flatware for twice a year use it often. Sterling is best washed by hand but if you must use a dishwasher, do not mix silver with stainless steel, as the interaction between the two metals will cause unremovable black spots. 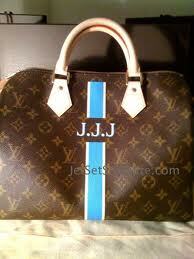 The luster and fine lines that come with frequent use are desirable and that is called patina. When you do polish use a cream substance rather than a clear liquid dip. 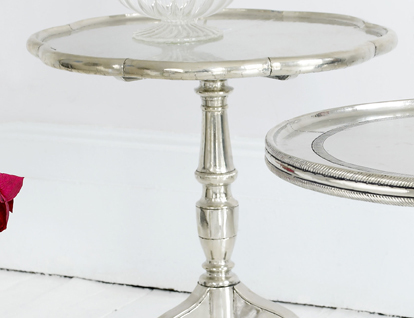 Polishing is hard on silver but the dip is much harsher even though it may seem faster to get the job done. 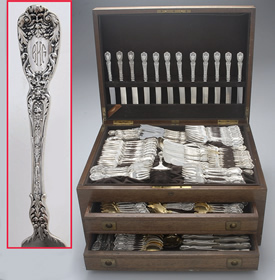 After use always wash the silver implements immediately to avoid the tarnish and corrosion caused by salt and sulfur. 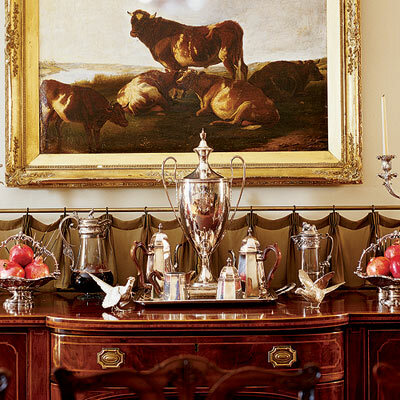 I personally love antique silver as there are so many beautiful designs and reminds me of how elegant dining use to be and still can be!! 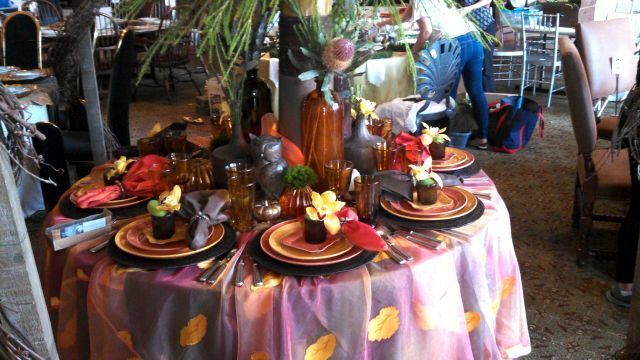 Yesterday and today the Kappa Tablescapes is being held at the newly renovated Dallas Country Club. Bryan Batt from Mad Men was the guest speaker and signing his latest book on interiors, name Big Easy Interiors. He has an antique shop in New Orleans called Hazelnut and was a delight! 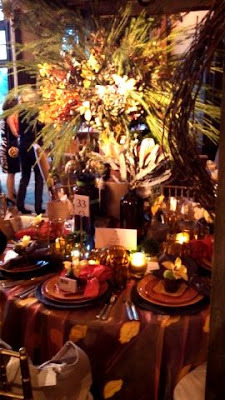 The table you see here was designed by Christopher Potts and myself from Pottery Barn Dallas Galleria with outstanding florals by Dr. Delphinium Florals and Events and La Tavola Fine Linen Rentals, new to Dallas who provided us with gorgeous chocolate taffeta linen with a sheer orange fall leaf overlay and tafetta napkins Dining Alfresco in Wine Country!! Thanks to everyone who made this such a great success!! A friend was telling me about a piece of furniture she had refinished and how wonderful it turned out. I have to admit I never heard of chalk paint. Milk paint yes but not chalk paint. Well Annie Sloan out of the UK developed this paint in 30 different decorative and historical colors. It is made to work on furniture, floors and wall with a gorgeous matte finish. It is available locally so please go to www.anniesloan.com for more information!! Get your creative side to work and have fun! 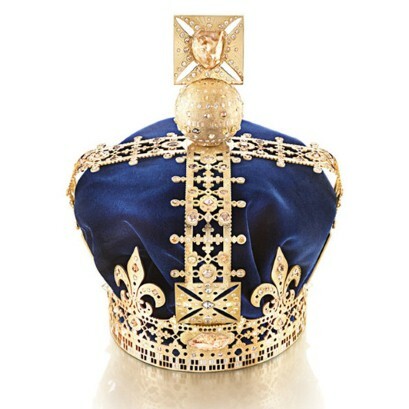 New Crown Celebrating the Jubilee!! De Beers Jewelers were commissioned by Harrods to design a new crown for a an exhibition celebrating the Queens Jubilee. This piece is now on a world wide tour. Who will ever wear it remains a mystery!! This is a crown fit for a queen, outfitted in De Beer blue and studded with 974 diamonds, of which 797 are polished and 177 are rough. The centerpiece is a gut-wrenchingly beautiful uncut 73 carat diamond, which the jewelers happened to have lying around in a vault in France. These gorgeous pumpkins are made with velvet and have real pumpkin stems on them and weighed down with rice on the inside. 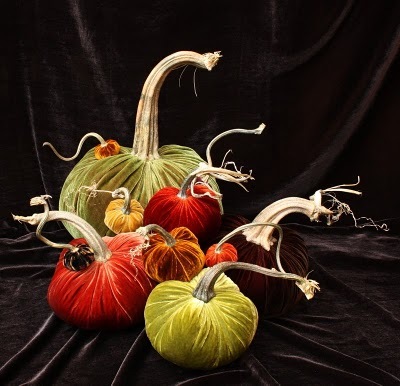 They are fabulous as a centerpiece or place card holder, mantel decoration …just anywhere…gotta have them…I love ’em. Culinary Connection at the Shops of Legacy sells them in my neck of the wood. So fun to see something different and so creative as well. 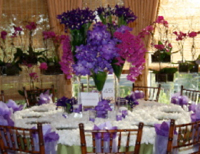 Make plans to get tickets to the annual Kappa Tablescapes event held at the newly renovated Dallas Country Club. 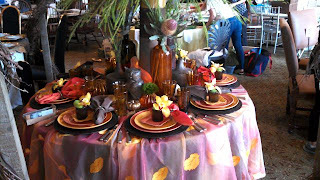 This is a wonderfully creative event with over 50 tables being design by top designers in the Dallas area. 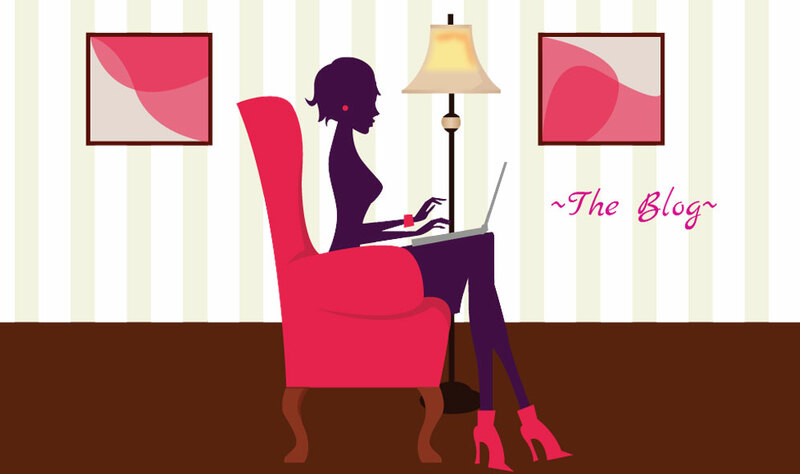 If you are at all into entertaining you won’t want to miss this delightful experience. 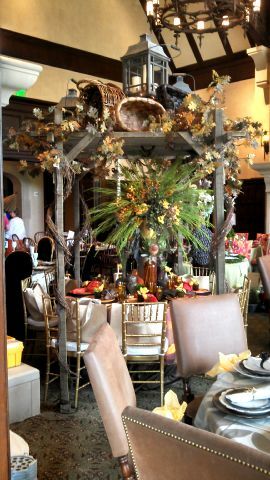 The event is being held Monday October15th with a Tablescapes by Candlelight, a cocktail party in the evening and Tuesday, October 16th is a Luncheon with a guest speaker Bryan Batt from the popular series Mad Men and co-owner of Hazelnut a home decor shop in New Orleans.The above table was done by The Garden Gate in Dallas at last years event. Look for my table that will be under the pergola where we will be dining Alfresco in wine country. 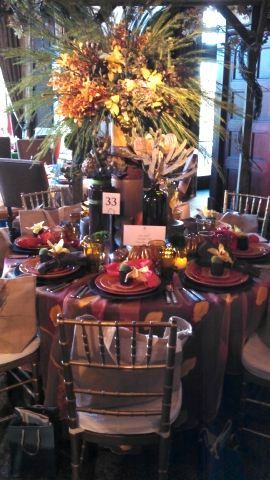 Christopher Potts and I are doing a table on behalf of Pottery Barn Galleria with centerpieces from Dr. Delphinium Florals and Events. A new showroom in Dallas for gorgeous linens is La Tavola, from Napa Valley and we will be showcasing some of their amazing linens. Please go to http://www.kappadallas.org/KappaTablescapes.aspx for information. 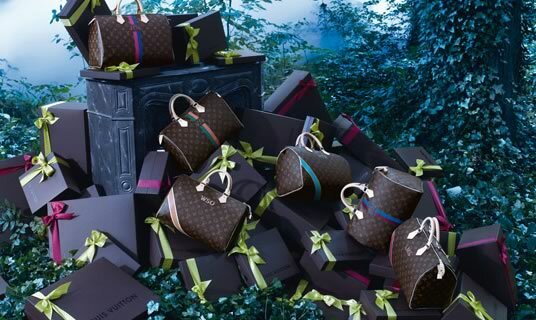 Louis Vuitton is expanding their online store and has announced their Mon Monogram program. 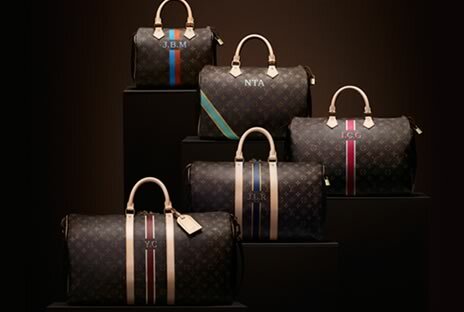 You can get your own custom bag which you will have a million combinations to choose from to make it uniquely your own. 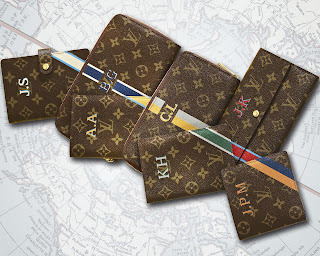 I’m thinking if you don’t have a designer’s eye this may be a complicated process especially with so many options to choose from but who doesn’t love a monogram? Check out www.louisvuitton.com to learn more.